Whether it’s for business or pleasure – we all know a frequent traveler. 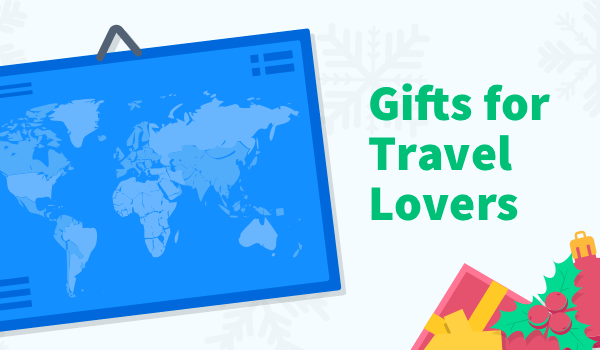 This begs the question – what are the perfect gifts for travel lovers? Business travelers tend to have their trip jam-packed with scheduled meetings, presentations, conferences and the like. Regardless of the reason for traveling, there are certain types of gifts that anyone on the move will enjoy receiving. We all know that Christmas with all the trimmings tends to do damage to our bank accounts. 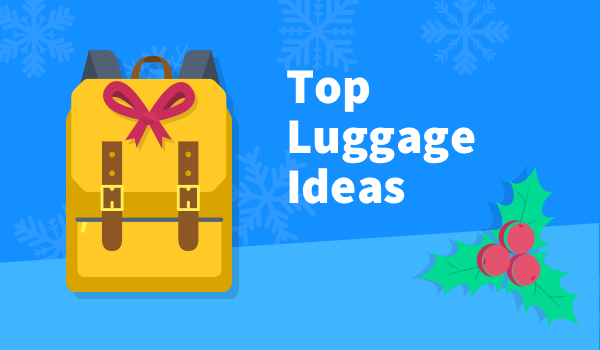 The good news is there are budget-friendly gifts you can get that will make a traveler’s life easier and more enjoyable. Fitness expert and regular traveler, Tara Laferrara, bought this unisex passport holder during one of her international travels and uses it whenever she’s on the move. Get this stylish and affordable leather passport holder for the traveler you know whose passport is constantly getting stamped on the go. PR Guru, Katie Rose, is a fan of Zaca’s refreshing berry flavor and the fact that the tablets don’t need water for consumption. A convenient and practical travel gift is not to be sniffed at. This Christmas, when it comes to top gift ideas, how about giving a present that’s eco-conscious? Take Nomader’s functional and durable water bottle for example. Not only does it come in an assortment of colors, but also this reusable bottle will keep you fresh and hydrated during your journey. Searching for what to give your stylish friend who’s often traveling the globe? These useful tools tend to offer solutions to our travel problems. Some can even be labeled as lifesavers! While traveling, travelers use their phones for photography, communication, wayfinding, electronic payments, airline tickets and even sometimes for health! Travelers simply can’t afford to have their phones die. The jetsetter in your life will never get caught without phone power when they carry a Boosa portable phone charger. When it comes to handy gifts for travel lovers, the Travis Touch Translator is ideal for the frequent traveler who’s keen on communicating in the native language when they’re in a new location. This is how it works. You speak to Travis Touch in one of the many recognized languages, and Travis will translate it and say your translated sentence back to you verbally in the language you require – or show it as a text translation – or both -depending on the language. Travel blogger and writer, Sara Essop, reassures us that this gadget will make language barriers when traveling a thing of the past. Whether your loved one is a fly by the seats of your pants backpacker or a luxe-oriented traveler, they’ll appreciate luggage that allows them to store the essentials. There’s also room for your traveling friend to store their laptop and other necessities. These backpacks have places for all of their gear with built-in cable management to keep devices organized. Samsonite has been equipping travelers worldwide with their luggage. It’s a top legacy luggage brand and if you’re feeling generous, the recipient of this timeless gift is bound to be grateful. She also advises long-distance travelers use these masks to “combat the harsh effects of the lack of humidity in the plane on our skin”. This light and moisturizing oil is often referred to as an eco-friendly “miracle oil’. A few drops now and then helps combat dry spots on your face and body, leaving your skin feeling soft and supple. For an added bonus, it also tames hair frizz. Male travelers have beauty needs too. The water-based moisturizer is infused with cactus extract making it both fast-absorbing and cool to touch. The Context vision is to connect avid travelers with local experts and culture; to give them access to places that might otherwise remain out of sight to the casual visitor. Their gift card allows the lucky recipient to customize their experience based on their individual preferences – whether they’re a foodie, an art or history buff, fashionista and more. Your friend will love getting this gift card because after the hustle and bustle of navigating through a crowded airport, they can use their LoungeBuddy gift card to unwind in an airport lounge. In the lounge your friend can either choose to get some work done or help themselves to refreshments before their trip. Price: Travelers can pay a single price with LoungeBuddy which is typically between $35 and $50. If your flight is canceled, delayed or overbooked, AirHelp will help you to get compensation for your inconvenience. Such compensation can be as much as $700.